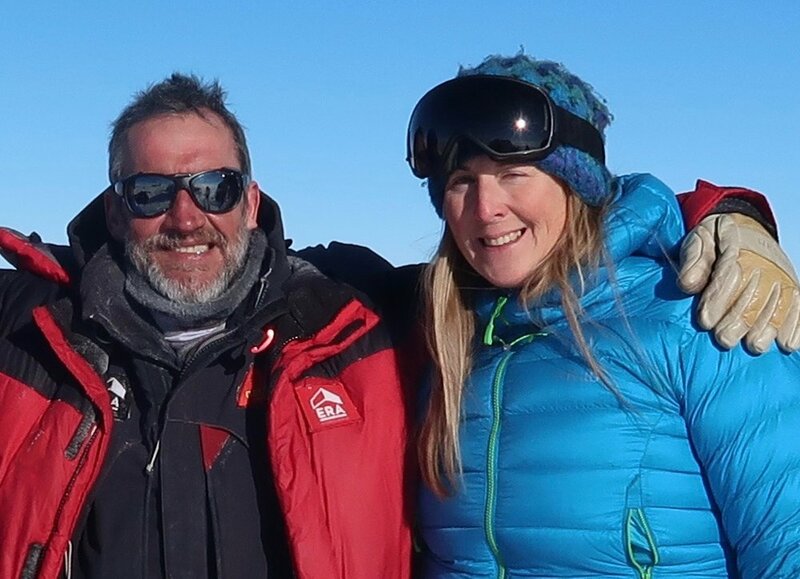 PET students Wendy Searle and Pete Masters took on a 27-day crossing of the Greenland ice sheet in May, after completing the Polar Expedition Training course in February 2018. Despite fierce Piteraq storms, poor conditions and soft snow, Wendy and Pete skied 570km across the only permanent ice sheet outside Antarctica. They said their PET training ensured they finished the crossing in fine health and good spirits! To add to our PET Pride Fest, Wendy and Pete were guided by Lou Rudd who was the first recipient of our annual Professional Guide Development Placement. Lou trained for two weeks beside PET instructors Hannah McKeand and Denise Martin to hone his polar guiding skills. This year’s Professional Guide Development Placements are now open for applications. This is an opportunity for professional guides from other genres of adventure travel or experienced private team leaders who are interested in pursuing a career in polar guiding to shadow our instructors and learn from the best. We are so excited and proud of our 2018 Polar Training Course student Leandro Martins who has just completed a 10 day, 180km solo cycle ride across Lake Baikal. Leandro undertook the ambitious bike ride just weeks after completing our 2-week course and the windy conditions on the lake put all his new skills to the test. However, Leandro stayed cool and kept his nerve and calmly executed the trip in great style. We can't wait to see what he tackles next. We were so fantastically proud and excited to see two of Hannah's students from 2017, Ali Negyal and Angelo Felgueiras, undertake and successfully complete an expedition to the South Pole this season. Ali and Angelo skied in to the South Pole in great style. Hannah was waiting for them when they arrived at the South Pole where she works each year as the Camp Manager and she said they looked healthy and happy and she absolutely could not have been prouder of them. We are excited to announce that starting in 2018, our Norwegian Polar Training Course will be operated out of the remote and historic mountain village of Finse. The village sits at an elevation of 1,222 metres (4,009 ft) above sea level, making it the highest station on the Norwegian rail system . There is no road access, only a railway stop. Our base Hotel Finse 1222, sits on the shore of the winter frozen lake with spectacular views of three large glaciers coming off the Hardangerjøkulen Icecap opposite. The village has a long and distinguished polar history having been used for expedition training by Amundsen, Scott, Shackleton and Nansen. To this day it is a popular destination for polar expedition preparation. After several years working with Expeditions 365, devising and running their Polar Training Course, Hannah McKeand is going her own way under the new banner of Polar Expedition Training. She will continue to deliver the high quality, intensive training that she is known for both in Norway and the Unites States. She is also offering Expedition Consultancy services.